NASHVILLE - Tennessee Gov. Bill Haslam today announced a "strategic plan" dealing with prescription drug abuse that builds largely on actions taken in recent years by his administration. "In Tennessee, we have a problem with prescription drug abuse and it's going to take all of us working together to tackle it," Haslam said at a state Capitol news conference, flanked by the commissioners of mental health, health and safety departments. The comprehensive, multi-year plan, called "Prescription for Success," seeks to expand cooperation among the state's substance abuse, health and law enforcement communities in combating problems. Haslam said some 221,000 adult Tennesseans - nearly 5 percent of adults - have used painkillers, known as prescription opioids, within the past year for non-medical purposes. Of those, estimates are that 69,100 are addicted and require treatment. The governor and other administration officials say that, through an already implemented drug prescription database, the state is already curbing the number of prescriptions filled by users "shopping" for new painkiller prescriptions by going to different physicians. 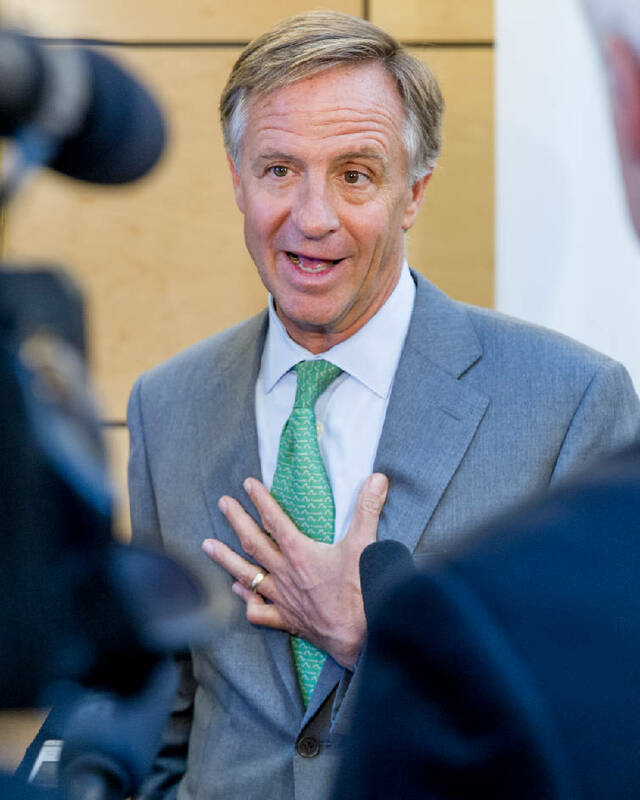 Haslam, who is up for reelection, later told reporters he isn't sure how much additional money would be spent to boost what the state is now doing. In the last legislative session, he came under criticism from some fellow Republicans in the Legislature who questioned his efforts to enact restrictions on over-the-table remedies containing chemicals used to produce illegal methamphetamine in light of the larger opioid problem.